This week we visited our old primary school to install a safety solution in the case of fire within their food canteen. 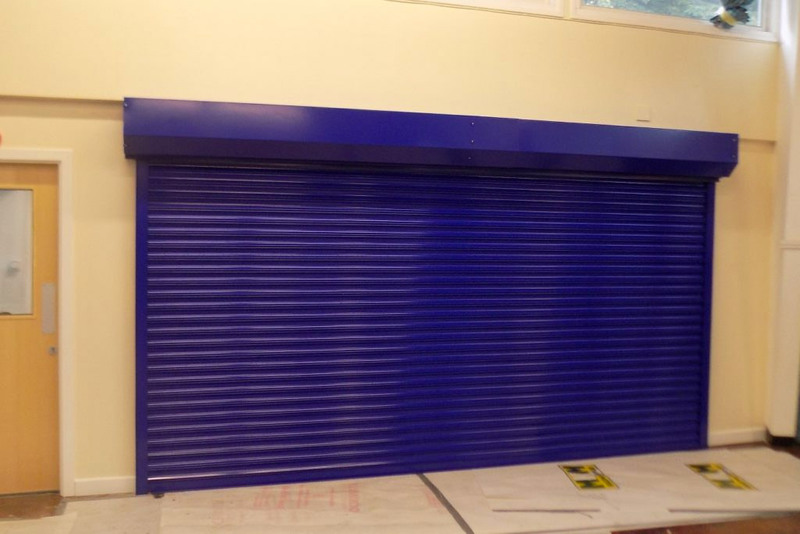 To do this we installed a 1 hour fire shutter, this is a vertical shutter, designed to be an everyday security barrier and is fully compliant under British fire resistance standards. If a fire alarm signals, the purpose of the Flame Shutter is to close, and create a fire resistance barrier in an emergency situation. They requested that it was produced in their school color’s and the match was brilliant, showing off just how well a shutter can link into your business or property. If this has inspired the designer within you, visit our fire product page for more information.